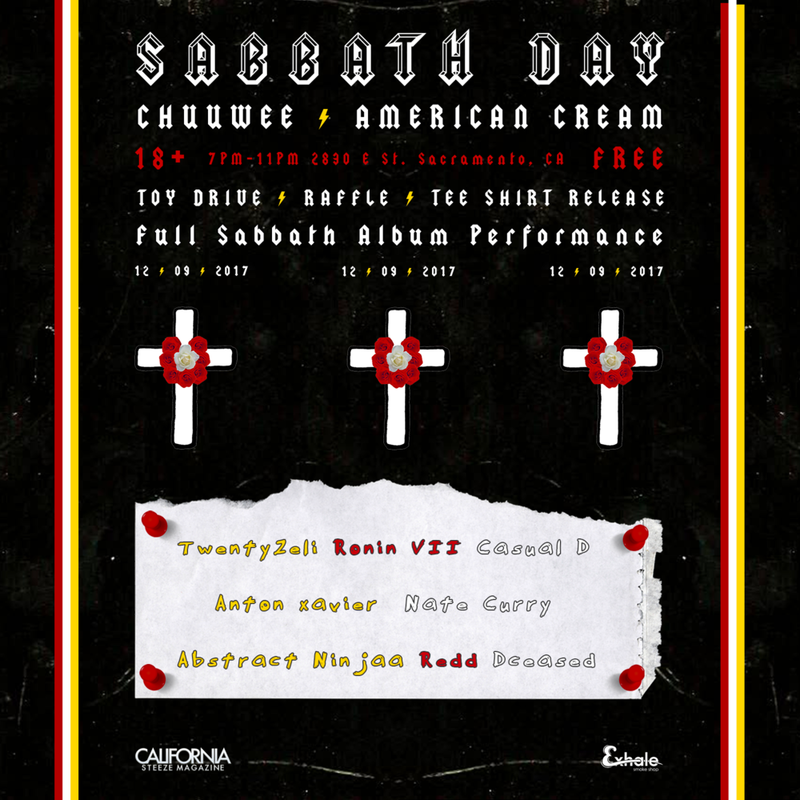 Join the Steeze team this Saturday the 9th, at Exhale Smoke Shop for the limited release of the collaboration t-shirt from Chuuwee x American Cream. Steeze's very own Twenty22Eli will be performing along side other local talent like Nate Curry, Abstract Ninjaa, Ronin VII, Redd, Dceased, Anton Xavier, and of course, Chuuwee, himself. We will be hosting a raffle and all proceeds will be used to purchase gift cards for our Steeze Clause Toy Drive.